Our children's ministry is centered on God's Word, helping kids form Christ-centered relationships and teaching them to apply biblical truths to their everyday lives. Children learn from watching others, playing games, singing songs, and being involved in a story. This is how we aim to teach, as we partner with our parents, our volunteers, and our entire church family to cultivate spiritual roots in the fertile soil of our kids' hearts. We understand that visiting a new church can be a great adventure—fun, exciting, and even a little bit scary. We love meeting new families and hope to make your first experience with us as comfortable and welcoming as possible. 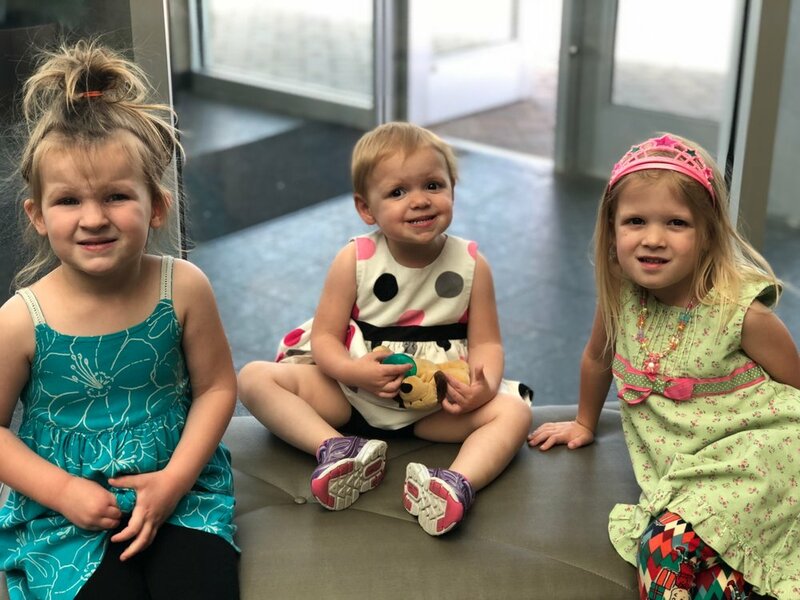 If you are visiting for the first time with kids, let one of our greeters know, and we’ll give you a quick tour of our kids space and help you register at our check-in computer to receive security tags. Our kids’ ministry is divided into two classes. The nursery class (birth - kindergarten) is available beginning at 10:20, immediately following our Neighborhood Connection time. We use a curriculum called "The Gospel Project," which walks our kids through the Bible from beginning to end each calendar year. Our older kids (kindergarten- 6th grade) make up the second class. They also follow "The Gospel Project" curriculum, but their curriculum stretches for three years as they walk through each book of the Bible. Our older kids stay in the service during worship, and are dismissed to their class before the sermon begins. They also join us for the entire service on the first Sunday of each month.